Luxury Boardwalk Condo (Side) - Wi-Fi, Pool, Gym & Beautiful Views! Best View of Assateague in Town! Escape to Belmont Towers 710, one of the most exclusive addresses in OCMD! 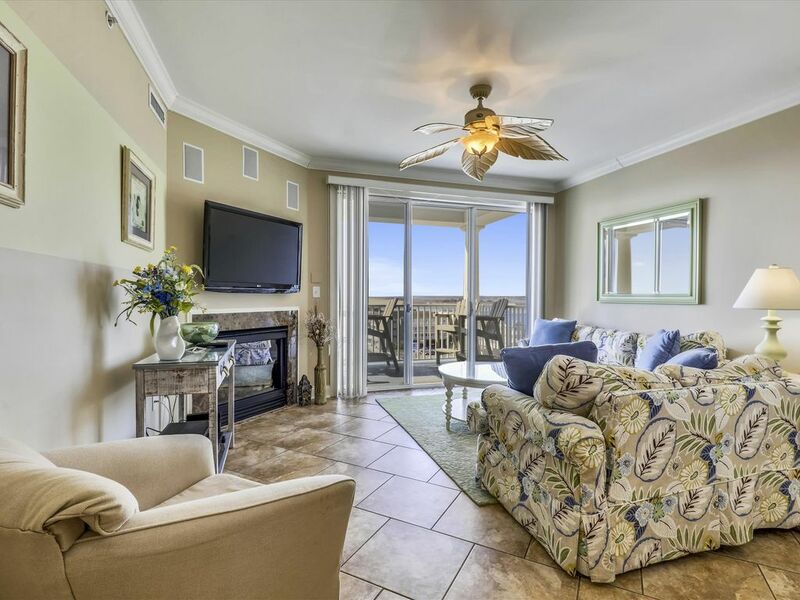 Located in the Downtown Boardwalk area, this 3-BR, 2.5-BA condo is just what the doctor ordered if you're in need of a relaxing & carefree getaway. Comes with many high-end finishes, including 4 flat-screen TVs/4 DVDs, gas fireplace, FREE WI-FI, spacious Gourmet Kitchen & Soaking Tub in Master Bath. Take the elevator downstairs for fun in the sun, or simply stay home to enjoy views of Ocean City from this unique, southerly vantage point. You can see the Beach, Bay & even Assateague Island in the distance! Belmont Towers has been called the Times Square of Ocean City because of its proximity to all the sights, sounds, and smells of a classic OC vacation. Stroll to the beach for a day fun in the sand, or stay home to indulge in Belmont`s state-of-the art amenities, which include a Rooftop Pool, 11,000-SqFt Sun Deck, Putting Green, Fitness Center & Sauna. Best of all, you can forget about stress the stress of battling (and paying) for a parking spot! Park your car in Belmont's gated, covered Garage & leave it there, because you`re already where the action is! You'll be only steps away from Beach, Boardwalk, restaurants & rides. PLEASE NOTE: FlexStays available - 3-night minimum stay with anyday check-in. Beautifully decorated, spacious and clean. The condo is beautifully decorated, extremely clean, and has everything you need to enjoy a wonderful stay. The view of the inlet and ocean is very nice. Belmont Towers has been called the “Times Square of Ocean City,” a premier downtown destination that brings you closer than ever to all the sights, sounds & smells of a classic beach vacation. Conveniently located on the Boardwalk & along the Atlantic Ocean, Belmont is in walking distance to hundreds of unique shops, fine restaurants, thrilling attractions, and a broad spectrum of recreational activities. Stroll to the Beach for a day fun in the sand, or stay home to swim in the inviting Rooftop Pool, relax on the 11,000-square-foot sun deck, or “putt around" on Ocean City’s only Rooftop Putting Green. Guests have exclusive access to the gated, secure parking garage and a 1,400-square-foot, state-of-the art Health & Fitness Center, which features an on-site Sauna and the very latest in exercise technology. With its easy location, luxurious amenities, and unparalleled scenic views, Belmont Towers is the resort you’ll keep coming back to.